One winter we took our son to an indoor hockey game. Oh my goodness the SOUND! It reverberated and echoed off every part of that stadium. I wasn’t sure we were going to make it. I’ll bet you’ve had a similar experience! Today we are welcoming the dad from Hadyn’s World to our Voices of SPD series, who also walked into an indoor stadium and quickly discovered how the sound can become deafening. Last winter we had a sensory showdown at an indoor track meet. It was a little too cold to play outside, so I decide that Haydn and I were going to go to an indoor track meet. That’s right, I said “indoor track meet” – High “echo-ey” ceilings, fluorescent lighting buzzing overhead, the cacophony of teenage runners, screaming coaches… the glorious organized chaos that IS an indoor track. 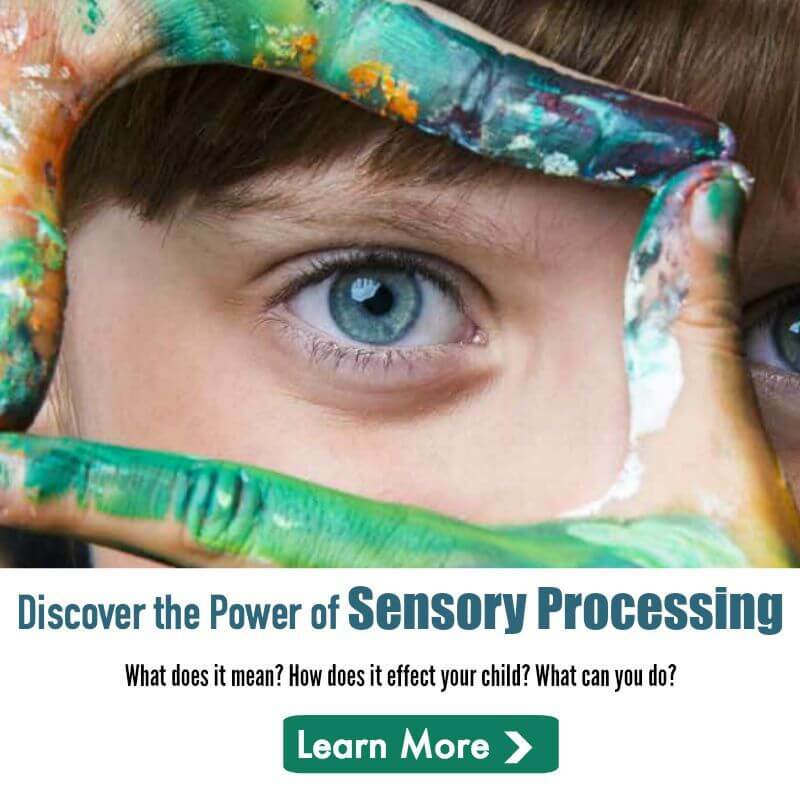 I am going to take my five year old son – perhaps you’ve heard of him – the little guy with Asperger Syndrome and Sensory Processing Disorder (supersonic-sensitive hearing, among other things) into this maelstrom of noise and excitement. We approach the door of the field house… and then the fluorescent lights make their first appearance of the evening. We walk into the field house, and my very excited, slightly over-stimmed little partner heads right over to the maintenance closet. We walk down the hall and around the corner, and BAM!! Haydn stops dead in his tracks. This is going to be a hard room. The field house has a high, arched ceiling, and coaches and athletes scattered all over the infield. They are running the sprints – hurdles on one side of the track and the 55 meter dash on the other. That means a gun is firing about every minute or so, one right after the other. “Friendlies” are fans, lights, bathrooms, a familiar face, anything that he can focus on while he gets himself acclimated to the room. He finds something he likes, we talk about it a little, and try to move on with our day. This is a coping mechanism that he has developed over time and it is very effective. As long as we are patient, Haydn can handle just about any situation. Haydn almost jumps out of his skin. He starts talking a little faster. Another big flinch, with a hop, a jump, and a little hand flap. Haydn balls his hands up into fists. Off he goes. Running through the crowd of stretching teens, Haydn barrels towards his cousin. A little air under those feet, no hands on the ears this time. I spend a few minutes talking to Tyler while Haydn flirts with the girls. A little less jumpy, no hands on the ears, head straight-ish. The guns are starting to fade into the background a little. I learn that Tyler’s race is going to be in about three hours, so Haydn and I are going to need to find something to do. Unfortunately, in order to get to the bathroom, we have to cross the track near the finish line. Right next to where Mister Starter Gun has been methodically blasting Haydn’s ears. Haydn does not see him, so I try to hurry toward the track crossing. Every other minute of every other day, Haydn moves at 100 miles per hour, buzzing around and dragging me along for the ride. Now that I need him to pick up the pace, he shuffles along slowly to the scoring table and starts a conversation with one of the meet officials. The shot seems to rip right through Haydn’s ears. The blue of his eyes flatten out and his hands lock up over his ears. I can see tears gathering at the corners of his eyes, the bottom lip slipping out. I need to get him to a private place so he can calm down. I want him to be out of sight, so he does not get embarrassed. He has a terrible reaction when a room, or something in the room surprises him. He does not like to fail, and I think he gets embarrassed when he loses control. It’s almost as strong a feeling as the sensory shock that usually causes the problem in the first place. He is a very resilient little guy and just puts his head down and plows into the situation at hand whenever possible, but unfortunately that aggressive attitude sets him up for a big, old, sensory backhand right upside the head from time to time. It does not happen often, but when it does, his reaction can be pretty extreme. More often than not, he will go fetal on the floor with his hands over his ears. He withdraws into himself, and it is not easy to pull him back out. I scoop him up and carry him across the track. He has his head buried in my shoulder. Clearly, he is terrified, his head ringing from the gun shot. I can feel the tears wetting my shirt, and his grip is getting tighter around my neck. I see a staircase by the bathroom. It appears to be a little darker and a little quieter than the rest of the room, so I decide to duck into the shadows and see if we can pull this thing back together. We sit on the stairs – Haydn on my lap, his head buried in my chest. I notice that he is soaked with sweat. The back of his neck, his lower back, his hair. The track meet has been so intense that it has actually taken a physical toll. He is starting to shake and I can feel the weight of every person, every sound, in the room pouring out with each of his breaths. He doesn’t say anything, but grabs my hands and places them on his back, one on the lower back, and one on his shoulder blades. He is very deliberate in their placement. I squeeze him a little tighter and I can feel the hitch in his breathing release a little. Haydn visualizes his moods (anger and frustration – the temper switch, sadness – the sad switch, etc.) as switches, and he tries to turn them on and off when he needs to. Big breath in, blow it out. Do it again. And again. Blow up the balloon. He starts to get himself under control. I can feel the tension in his body releasing. He gets off of my lap looks right at me. Ten minutes and he already has that sparkle back in his eyes. We walk into the bathroom, make a quick dryer assessment (looks like paper towels), and he ducks into a stall to do his business. I close the door to give him privacy. I decide to cut him some slack. He just worked a real hard room, took a sensory beat-down, and still managed to get himself back on track. Pretty impressive for a five year old. I am very proud of my little guy. Can’t let a little bathroom yoga derail a pretty significant achievement. In fact, I think a stop at Carvel for some ice cream may be in order. He walks out of the stall and I twist his pants around for him. (he can’t ever seem to get his pants back to the way they were, pre-potty) I look up and see kids everywhere. There is a line of kids waiting to get into the stalls. Lines at each urinal, lines at the sinks. The room is reaching maximum capacity. We need to wash our hands and get out of this place. We wash our hands at the sink and as we dry them, I feel so proud of Haydn that I feel that it is time to make a big-time Daddy speech and spell it out for him. In the most crowded bathroom in New Jersey. Brilliant. And turns off all the lights in the bathroom. This post originally appeared on Haydn’s World. You can read more there. 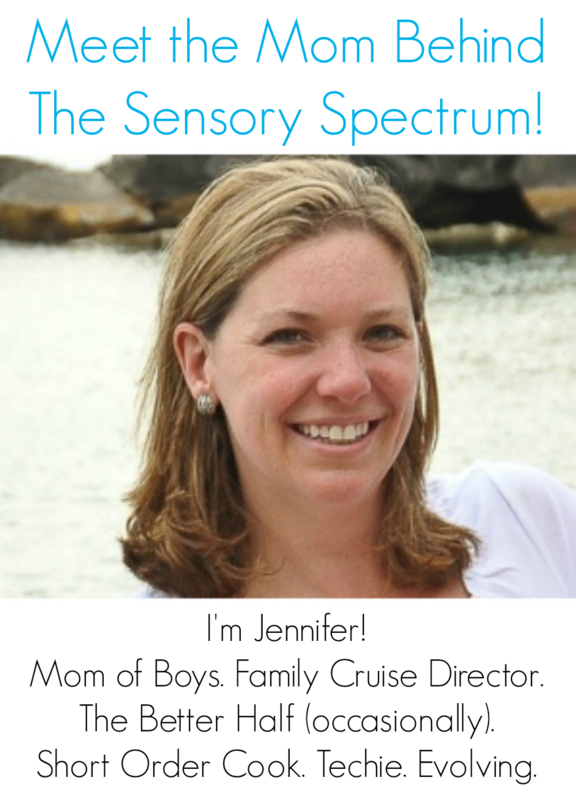 If you’d like to become a part of Voices of SPD on The Sensory Spectrum, please read about how to join Voices of SPD. « My Child Chews on Everything!